A5 booklet of 16 pages, an A5 sheet of decals plus and addendum strip. 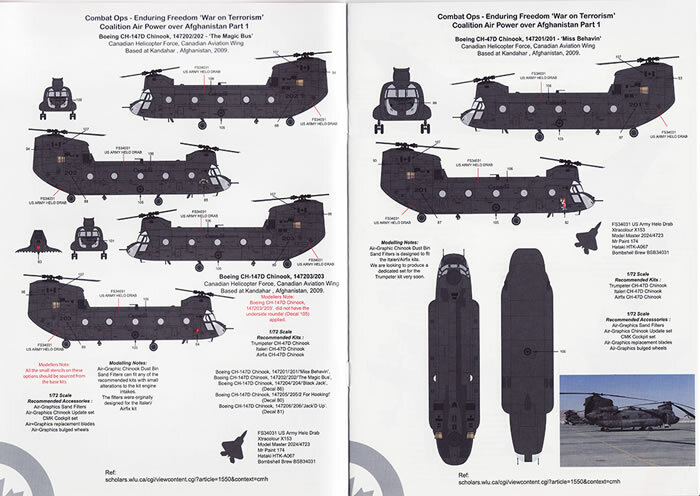 Excellent decal sheet printed by Cartograf; in perfect register with minimal carrier film; comprehensive instructions and photographic references included. 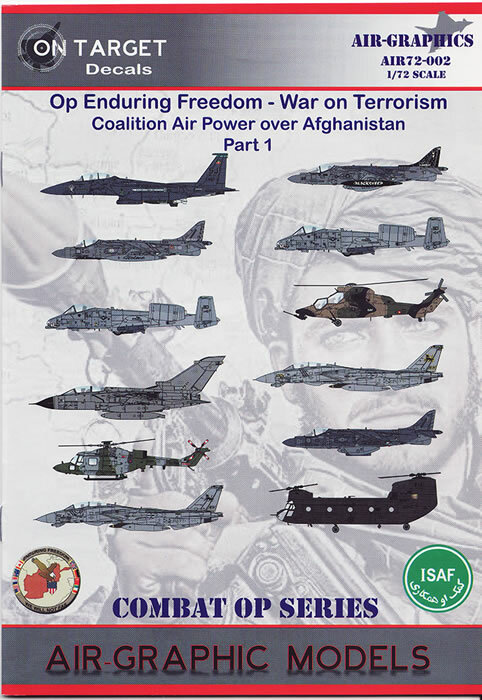 This decal set gives you a really good range of different aircraft from a range of countries that took part in the War on Terror in Afghanistan. 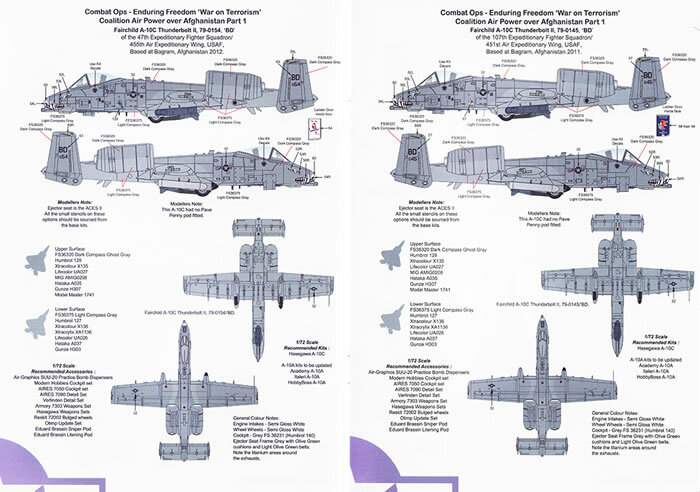 A great chance to build up to eight totally different aircraft from one decal set, which is not common. Quality excellent. Operation Enduring Freedom (OEF) is the official name used by the U.S. government for the Global War on Terrorism. On October 7, 2001, in response to the September 11 attacks, President George W. Bush announced that airstrikes targeting Al Qaeda and the Taliban had begun in Afghanistan. 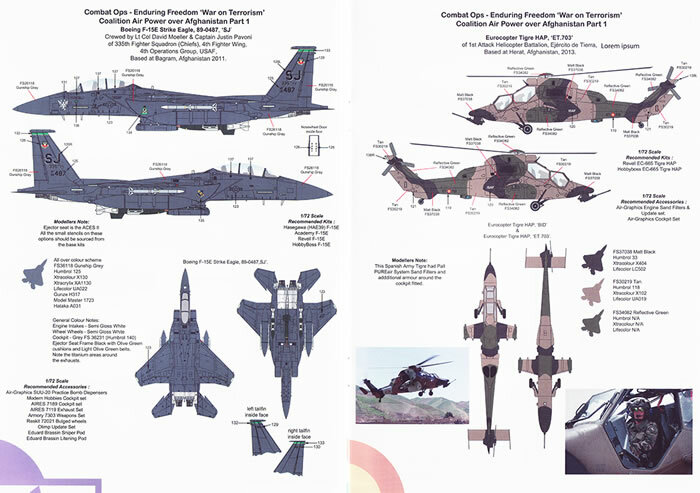 Operation Enduring Freedom primarily refers to the War in Afghanistan, but it is also affiliated with counterterrorism operations in other countries, such as OEF-Philippines and OEF-Trans Sahara. The members of the coalition included the, USA, UK, France, Canada, Germany, Italy, Spain, Portugal, Australia, New Zealand, UAE plus 12 other smaller countries. 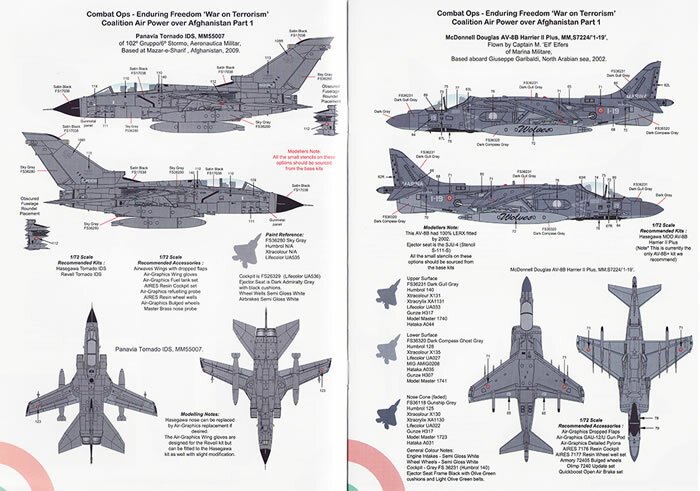 This is the second of Air-Graphic Models On-Target larger sets. 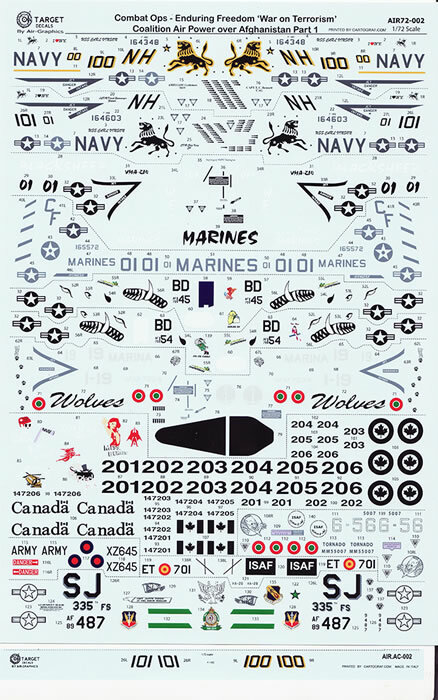 This decal set covers 8 aircraft types with multiple versions of a number of them and covering 5 nations. The decals exhibit a high degree of printing quality, which you would expect being printed by Cartograf. They appear thin and have minimal excess clear carrier film. The decal sheet has the squadron badges, nose art, national insignia and other markings for each scheme. Data placards and stencilling are not included, which is to be expected for the number of schemes supplied, but I’m sure you can use those supplied in the kits. 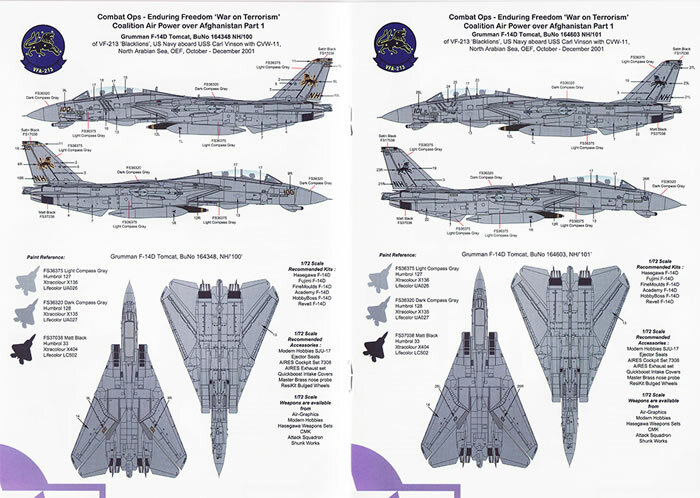 There is also a small slip with a couple of errata decals for the 2 Tomcats. 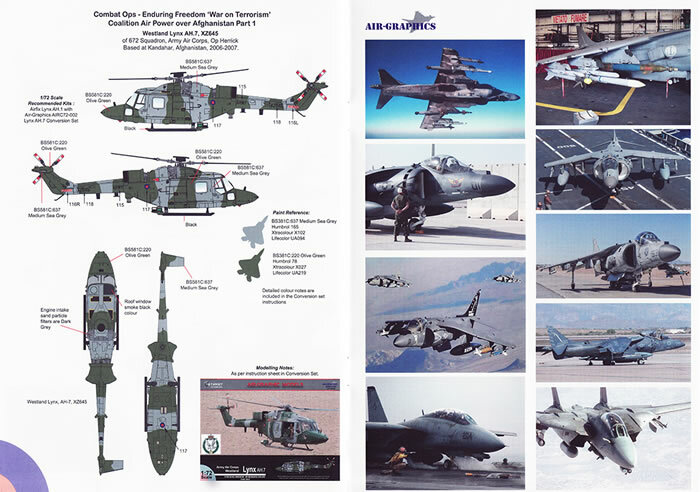 The instruction booklet, is a quality little production as well which I think is one of the best I’ve come across. Not only is it printed on good semi-gloss heavy paper, it’s stapled like a real book, so you don’t have the inevitable papers everywhere that comes with the “folded” style one sees more predominantly. 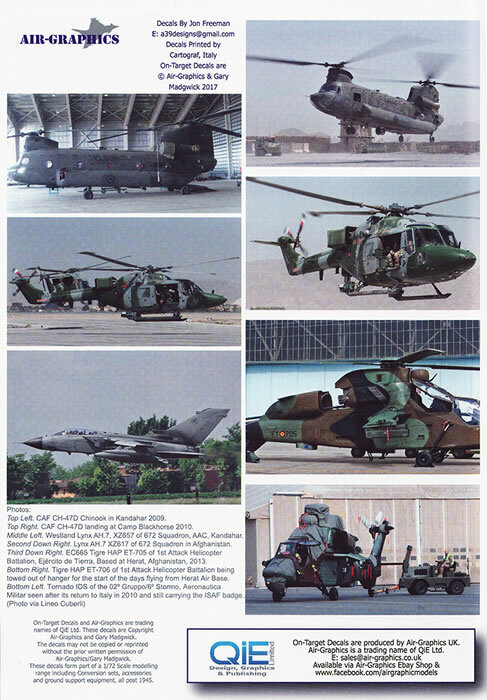 All making this a quality production, is the two pages of good colour, reference photographs of a number of these aircraft in action etc. A wonderful and very useful touch Air-Graphic. 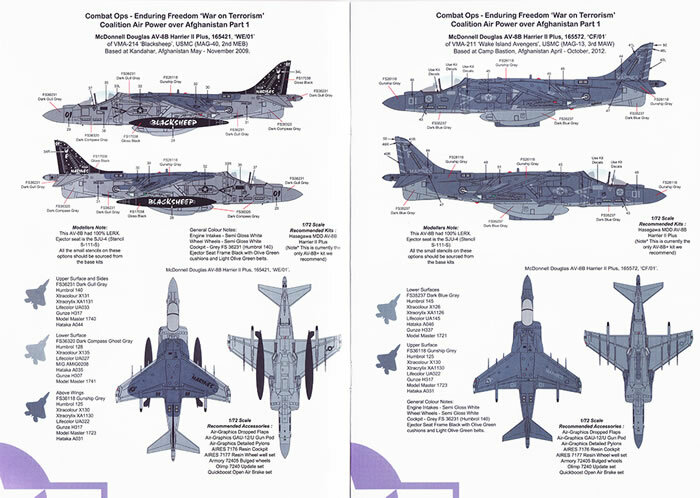 This decal set offers many modellers a wonderful range of aircraft from many countries that took place in this recent conflict. This decal set is highly recommended. Thanks to Air-Graphic Models for the sample.